Microsoft co-founder Paul Allen died on Monday at age 65. His cause of death was Non-Hodgkins Lymphoma, the same disease that nearly killed him back in 1983. Allen, who was every bit as important to the history of the personal computer as Bill Gates, had found an extra 35 years of life back then thanks to a bone marrow transplant. And from the outside looking-in, I’d say he made great use of those 35 extra years. Of all the early PC guys, Allen was probably the most reclusive. Following his departure from Microsoft in 1983 I met him only four times. 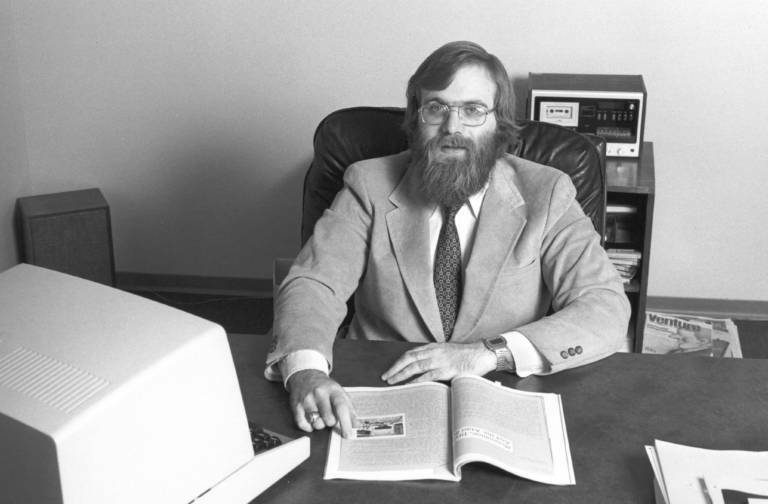 But prior to his illness Allen had been a major factor at Microsoft and at MITS, maker of the original Altair 8800 microcomputer for which Microsoft provided the BASIC interpreter and where Allen was later head of software. Remember it was Allen not Gates, who traveled to Albuquerque and did the first BASIC demo for MITS in 1975. That MITS job eventually became problematic when Bill Gates used it as a reason to demand 64 percent of Microsoft’s founder shares to Paul Allen’s 36 percent. It was probably the most expensive job in the history of work. Most of the people who read this won’t have known Paul Allen as a programmer or software executive, just as the reclusive owner of the Portland Trailblazers and Seattle Seahawks. The guy was a paradox, at once flamboyant and reserved. He owned the world’s largest yacht, called Octopus. That Boeing 757 Donald Trump flew in before becoming U.S. President was previously Allen’s, bought not to fly him but just to fetch guests to and from the yacht, wherever it was sailing in the world at the time. Paul Allen was a man of great enthusiasms and appetites. In the 1980s it was playing the guitar and his fascination with Seattle native Jimi Hendrix, which led to the purchase of many, many guitars and the creation of what is now The Museum of Pop Culture, the first of several Allen museums. In more recent years he kept at Paine Field the Flying Heritage Museum, one of the largest private collections of military aircraft. Though Allen was not, himself, a pilot, his planes could all fly, and do. And where Oracle’s Larry Ellison used to talk about buying a supersonic MiG-29 fighter, Paul Allen owned a supersonic MiG-29 fighter. I wonder if he ever flew in it? Paul Allen paid for cool stuff. He kept the SETI Institute alive and looking for signs of extraterrestrial intelligence. He built the Allen Array of radio telescopes to help with that effort and to further explore the universe. He paid for SpaceShipOne and won the Ansari X-Prize. In recent years he had been pouring hundreds of millions into StratoLaunch, a new way of firing satellites into orbit from a giant six-engine aircraft built out of two Boeing 747-400s. Hardly anything he tried made money, but who cared? Thanks to Microsoft he had more money than any individual could ever spend. Paul Allen was an exceedingly polite man who came across as not just shy, but wary. This always confused me because of his willingness to make such big financial bets. Why was he so wary of people? The origin story for that attitude can be found in Allen’s autobiography, where he wrote of overhearing Bill Gates and Steve Ballmer allegedly plotting to get back Allen’s Microsoft shares when he was dying in the early 80s. This wariness was reinforced by people around Allen who gained power by telling him to be suspicious, that nearly every stranger he met wanted something. Maybe it was true, but it always brought an element of sadness to him, at least it seemed that way to me. And yet there were also moments of simple joy. Late one night 23 years ago in Albuquerque we were hungry. The only place still open was the drive-through at a nearby burger joint. Neither of us had a car, so we walked between cars, waiting to walk up to the window and order. And like just about every other billionaire I’ve ever met, Allen had no money, so dinner was on me. He was a nice man and left us too soon.